Soon to be pumping out 4G signal? 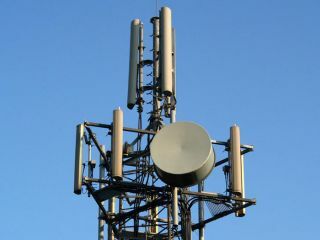 Ofcom has published a new proposal that could see a 4G mobile network available in the UK this year. The regulatory body is hoping to change Everything Everywhere's spectrum licence to allow it to deliver 4G services, as per the network's plan announced earlier this year. Everything Everywhere wants to use some of its 1800Mhz spectrum for the 4G service, which would require a new licence allowing the switch from 3G to 4G. "LTE/WiMAX services are not currently widely available to citizens and consumers in the UK," the proposal reads. "There is however widespread demand for mobile data services in the UK, and that demand is growing significantly. The availability of new high-speed mobile data services is likely to bring material benefits to consumers and citizens. "In particular, we have considered the extent to which the benefits to consumers and citizens which we believe will arise from the availability of new LTE services might be outweighed by any temporary or longer term distortion of competition in such services to the detriment of citizens and consumers." Ofcom will now sit back and wait for any responses from interested parties which, although the body doesn't think there is any competition issue with the move, may include objections from other rankled networks.